Even as we post, a search is underway at Glacier National Park for a missing fisherman who was just out for the day. They have found his fishing rod, submerged within a lake, and it doesn't look like a very good outcome is developing. Length of trip has no relationship whatever to the severity of the potential emergency that might ensue. On the other had, carrying a neato electronic whizbang PLB or SPOT is no guarantee, either. Slip, take a 100 foot plunge onto rocks, and you probably won't get a chance to trigger anything. In some folks, hopefully not many, possession of a PLB might even encourage risky behavior. PLBs, et al., definitely are useful, and they probably should be in more general service. But they are truly no substitute for experience and proper decision making. By the way, i am somewhat leery of "news reports of ...experienced outdoors enthusiasts". Typical news reports are incredibly superficial and rarely give a valid picture of the actual situation. "Experienced" is an often overused, uncritically used adjective which a victim's friends and family will apply to someone who has spent all of one night in a roadside campground. Rarely do you read a well developed analysis of the situation when all the information has been assembled. PLB's are such a good idea that I'm surprised we're even debating it. Does everyone need one? I doubt it. But most would agree it's better to have something and not need it than to need something and not have it. As the prices come down, and for electronics prices usually do, I expect I'll eventually buy one. It certainly won't replace survival skills for several reasons. First, the unit could fail. Or you could be in a remote area where the rescue could take a couple days even if your location is known- this isn't all that uncommon, and I've read that in the bulk of rescues the victims are still carried out on foot. Certainly if you trigger your PLB near sundown a chopper isn't going to rescue you at night. You'd best have some shelter and fire at a minimum to see you thru til morning. PLBs are good at one thing, letting the authorities know you're in trouble and where you are. If you travel over or through remote areas where you are going to be well away from hell they make a lot of sense. But they have less utility if the problem is that you are one of many people in trouble and/or if emergency services are unavailable or overwhelmed. A PLB is of less use in most hurricane, earthquake, riot, flood, or wildfire scenarios. Activating a PLB doesn't move you to the top of the list for rescue. A PLB also won't keep you fed, watered, sheltered. PLB's are such a good idea that I'm surprised we're even debating it. Does everyone need one? I doubt it. But most would agree it's better to have something and not need it than to need something and not have it. As the prices come down, and for electronics prices usually do, I expect I'll eventually buy one. Doing a search on Bows came across this. Lots of talk on the subject,here's how it would play in my neck of the woods. We have Mtns,snow,ice and people going off the side all the time. A recent one a lady went thru guardrail. Caltrans saw wrecked rail,looked over side,saw nothing,put up pylons. A local citizen read of a lady going to a local resort who 'disappeared',went to site and spotted vehicle,a week later.She was deceased. Multiple stories along those lines here. We also have poor cell service. That said,had never even hard of those PLB's until I came here.Its now high on the list of researching and purchase,its one of the biggest threats I face driving here thats life and death,my job doesnt take weather as an excuse not to show up,unless its waist deep snow and I have pictures.....yet I can leave in a starting snow and find myself rapidly in a blizzard condition. PLB sounds like a no brainer for here. I started looking at this thread after seeing it near the top of the forum today and said, "Hey, I recognise this!" Sure enough, I had a post or two previously. how about a take-down 22lr rifle under one pound? the weight savings in the rifle would allow you to carry extra ammo instead. at least with a 22lr you have more power and range. 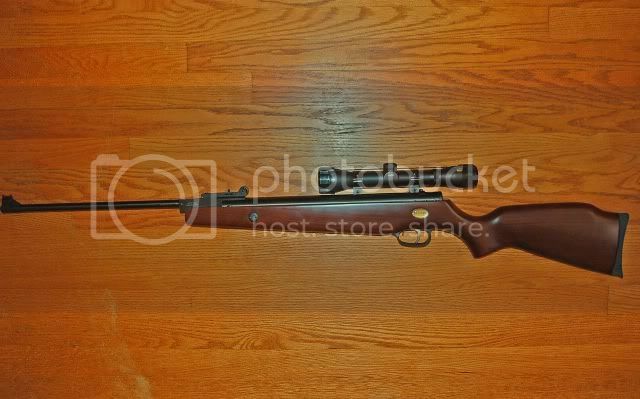 My Beeman pellet gun is HEAVY,and noisy.While it could take down a rabbit all in all I'd rather have the 10/22 any day. And geeze does ammo get heavy fast! 2 boxes 12g,40 rounds 30.30 and a brick of .22 is heavy.Give me half a brick of .22 any day instead. 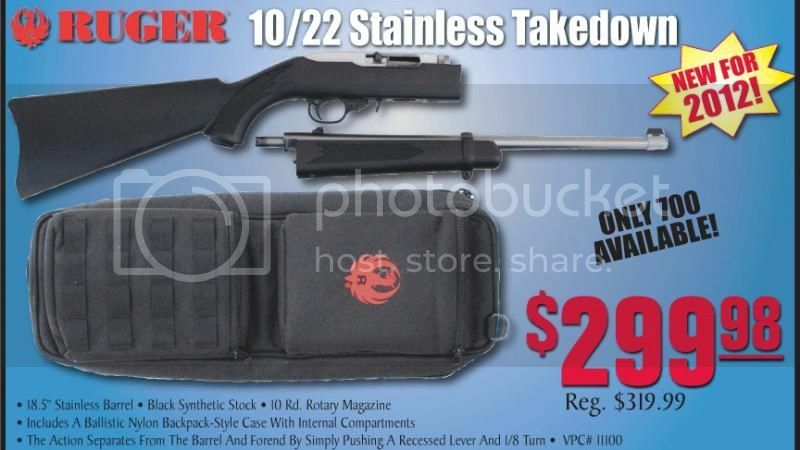 I think the .22 is the go to survival rifle for me.Like the breakdown 10/22 but I have to call it stops somewhere otherwise I would do nothing but buy more and more. 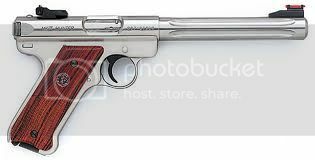 Ruger Mk III? Man what a nice little gun.A range member sets up clay pigeons at around 25 yards and is darn good at hitting em,and the misses still close.Takes a lot of good natured ribbing with the little gun but in reality its pretty impressive what he hits with lots of practice. 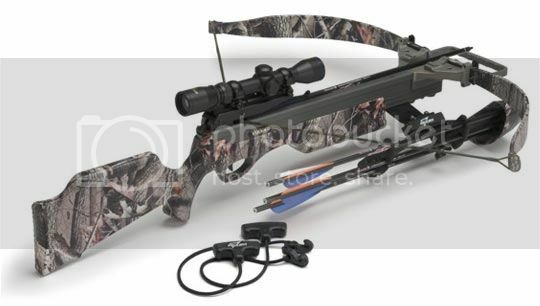 Think Ive got all the goodies for the Excaliber Vixen II Crossbow (And a scope,woohoo! 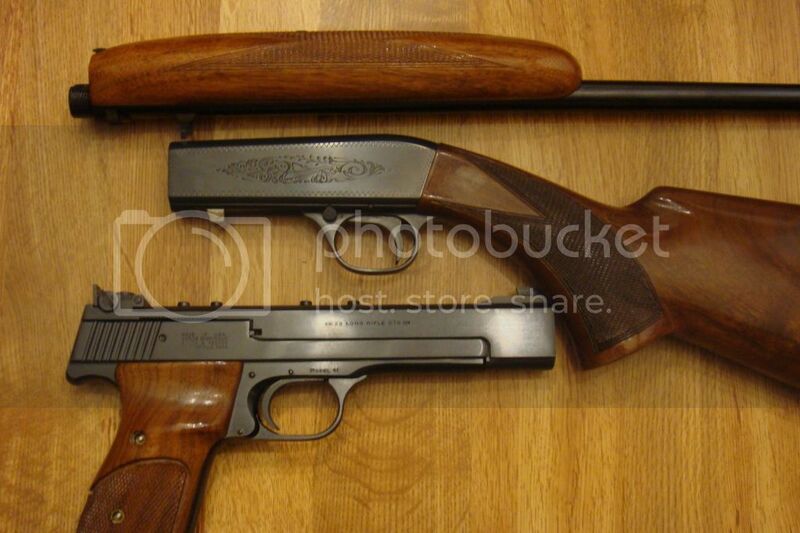 ),shouldnt be long before we have that at the range,cant wait! Finally,open sights,whats that??? All but the shottie has glasses here,my eyes arent 18 years old by a long shot. Generated in 0.034 seconds in which 0.015 seconds were spent on a total of 14 queries. Zlib compression enabled.